Supports connection to USB-C to USB-C devices for data transfer, HDMI output and charging up to 100W. 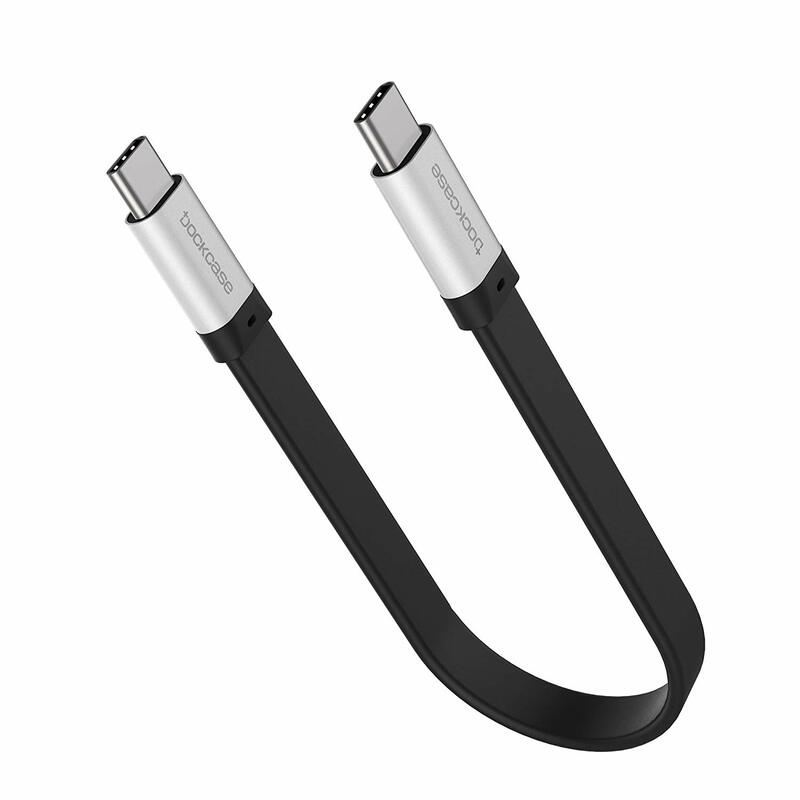 Description ** USB-C to USB-C Cable(Thunderbolt 3 Compatible). 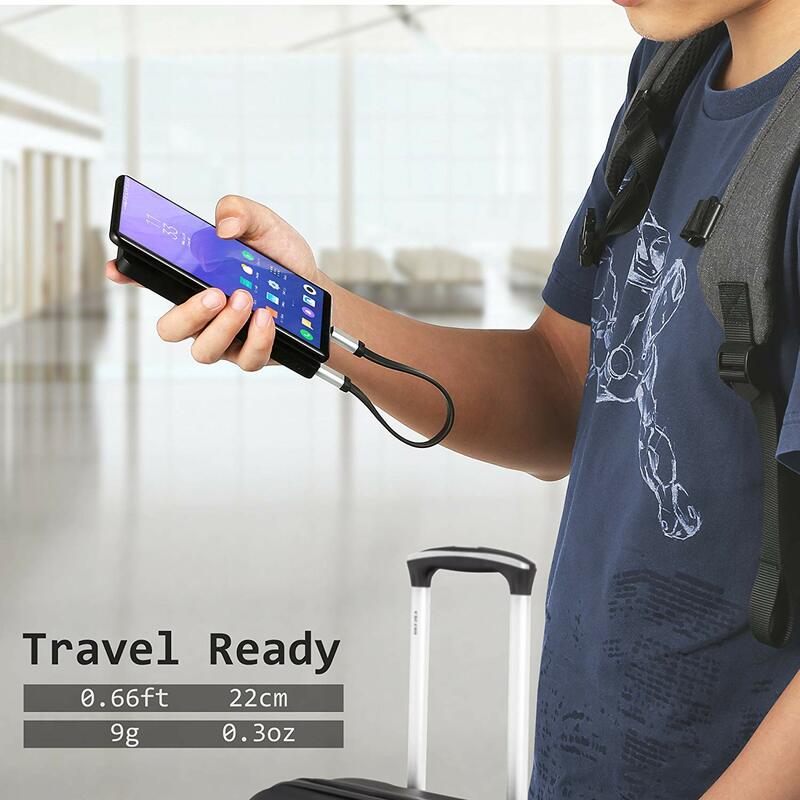 Fast charging or superspeed syncing between all USB Type-C devices like MacBook(including New MacBook Air 2018), iPad Pro, Chromebook Pixel, Type-C hard drive SSD and smartphones like Huawei P20, Samsung Galaxy S9 S8+ Note 8, LG G7 ThinQ G5 G6 V20 V30 etc. 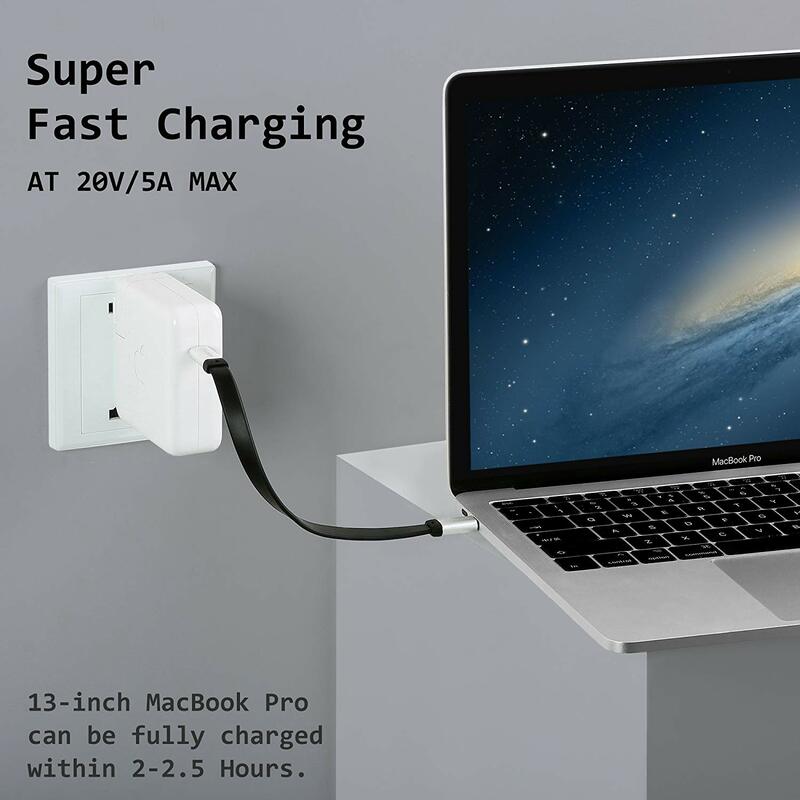 **Latest E-marker Technology, USB-IF Certified: DockCase Type C cable safely deliver up to 100W of power at 20V/5A, 13” MacBook Pro could be fully charged within 2-2.5 hours. The E-mark chip provides a current protection for your laptop or smartphones, delivers a more stable performance for HDMI display. ** Rapid Data Transfer. 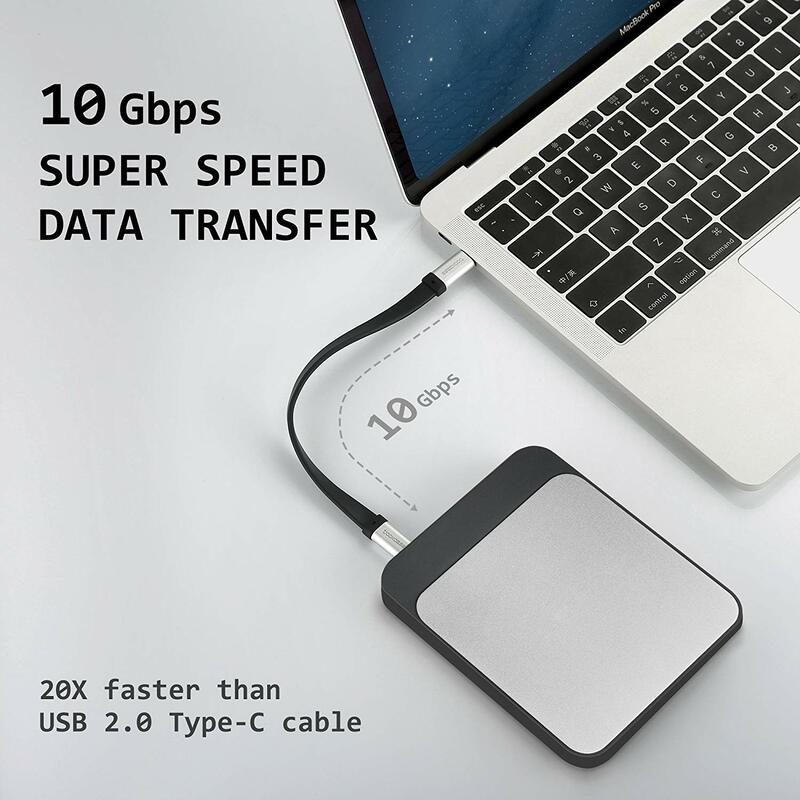 Supports SuperSpeed 10Gbps data transfer as well as audio and 4K video signal. Type C 3.1 Gen 2 data cable is 20 x faster than USB 2.0 type C cable, and double speed than USB 3.1 Gen 1 cable. Sending or receiving an HD movie super fast. **Unique Pocket Design, Travel Must-have. 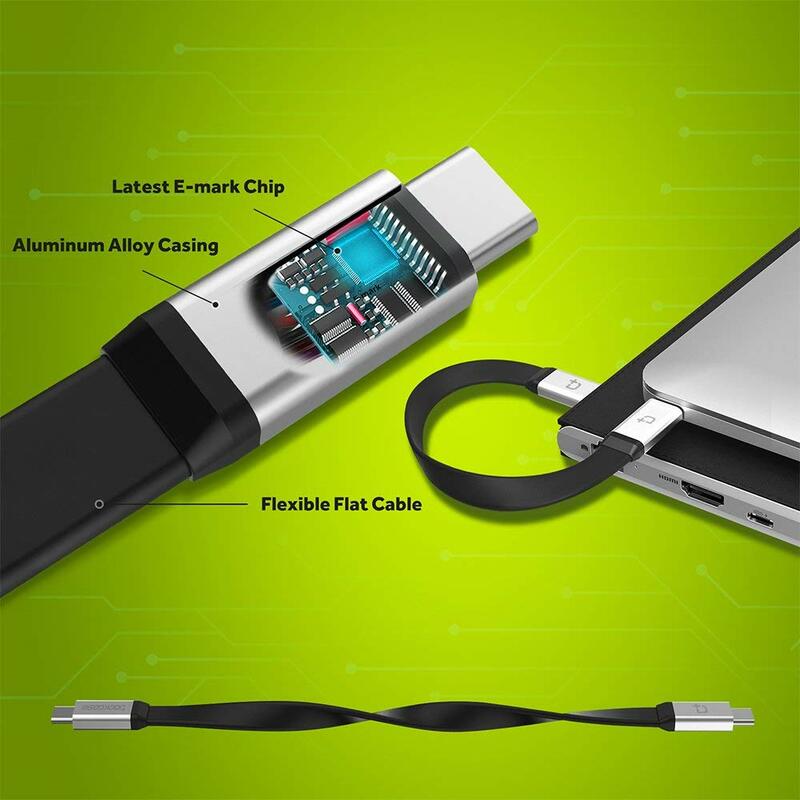 Aluminum alloy casing cable with reinforced flexibility and durability, great stand-by usb c data charging cable for your smartphones and laptops. ** What You Get: DockCase USB C to C 3.1 Gen 2 Cable (0.7ft), our worry-free 12-month warranty and friendly customer service.